Model charts, drain and fill procedures, torque specs and more. Bulletin from ZF to flush and bleed p/s system. Recommended fluid chart for ZF fluids. What makes brakes squeak and how do I fix? What makes my brakes squeak? Thorough explanation from a brake engineer why people think they have warped rotors but actually don’t. TSFI 2.0 timing marks up to 2008. Problems with camshaft failure due to wrong oil and screen getting clogged then pushed into cam bearings. Tips about Rolls Royce Fluids. Once a self adjusting clutch has been installed, it must be reset to re-use the pressure plate. Explains the benefits and installation rules for Elring PTFE seals to prevent leaks. Explains how to “vacuum bleed” a p/s system when noise from foam or aeration occurs. How to prevent premature power steering pump failure by flushing and bleeding fluid properly. Description of Brake repair for 2001-> 911 Turbo. Problematic timing gears and codes. Specific instructions for installing Mercedes 203 and 209 chassis struts. Detailed installation instructions regarding Mercedes e-class rear air springs. Mercedes oil light reset procedures. Timing tool tips M62 engine. Explains how to measure brake rotors for warpage and disc thickness variance. A complete explanation from Luk Clutches, on operation of, and failure diagnosis of clutches including self adjusting clutches. BMW M62 catalytic converter failure cause. Brake Rotors Warped? Maybe not. Great information concerning what many think are warped brake rotors but are actually not. This Product has proven effective in reducing Brake squeal on many disc brake designs. Problems with brakes and how to avoid them. Tool is required when installing BMW self adjusting type clutches. Many newer BMW and Audi/VW models come with a self adjusting clutch. This type clutch has a black shipping plate locking the pressure plate fingers until the pressure plate has been aligned and bolted into place to spec. Any removing of the shipping plate before then will render the clutch plate useless and voids the warranty. The proper tool must be used to install this style clutch and are usually available under tool number ct1011 or ct1012. BMW transmission fluid chart up to 2002 models. 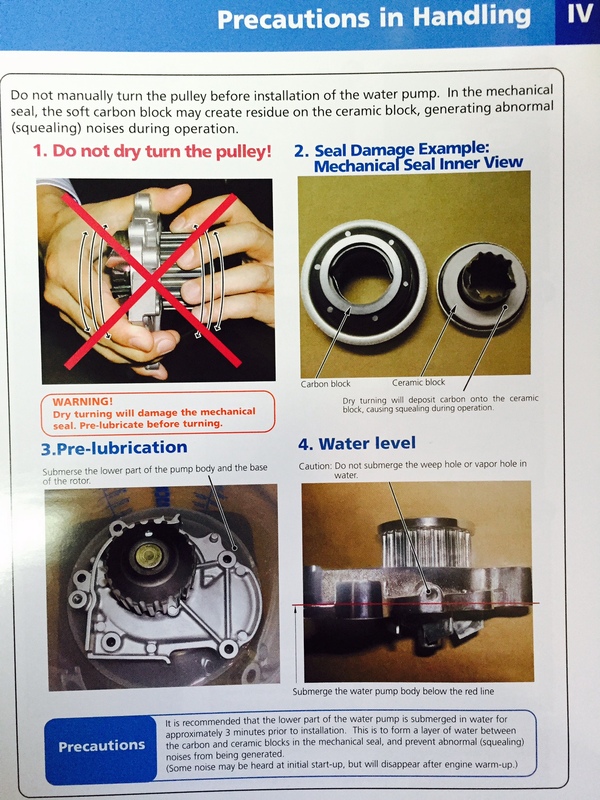 Instructions for installation of front crankshaft seal. BMW has 2 bulletins here about how to test and solve ticking lifters. Timing marks for BMW N52/N54 engines. Update kit that was previously only available as eleven separate parts. An informative introduction on BMW battery registration need and process. List from BMW for spec oils. CertainAudi models made before 2008 need to replace a fuel pressure sensor, and most importantly adapt the basic settings of vehicle with factory type tool to eliminate engine light. Technical service bulletin from Audi 2010 on brake lube. Make sure to soak certain water pumps before installing to prevent problems on new style carbon seals. Summary of the differences between active and passive ABS.